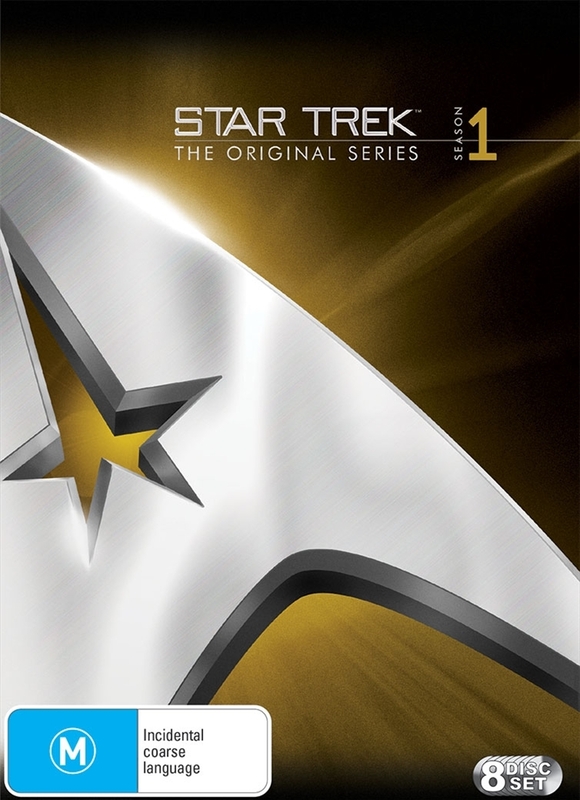 Set in the 23rd century, the series chronicled the intergalactic adventures of the U.S.S. Enterprise on its five-year mission to explore the outer reaches of space. Encountering a now-iconic assembly of innovative alien life forms such as the Klingons, Romulans, Tribbles, and Khan Noonian Singh, the ship's jumpsuited crew was a then unheard-of font of multiculturism: Asian Hikaru Sulu (George Takei), African-American Nyota Uhura (Nichelle Nichols), and Scotsman Montgomery Scotty Scott (James Doohan). But it was the contrasting personalities of cooly logical Vulcan Mr. Spock (Leonard Nimoy), emotionally intuitive medical officer Leonard Bones McCoy (DeForest Kelley), and womanizing ship captain James T. Kirk (William Shatner in definitive overacting mode) that lent the series much of its charm--and spawned a rabid cult following that continues to fuel costume sales and convention bookings to this very day. Presented here is every episode from the show's debut series.